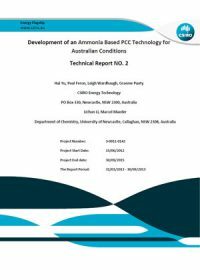 ANLEC R&D funded this CSIRO technical report that describes the development of a novel gas-liquid contactor aimed at reducing the capital and operating costs of Post Combustion Capture (PCC) commercial scale plants. 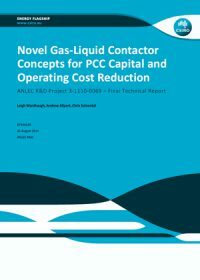 This project developed an innovative contactor which aimed to improve the economics of post combustion capture (PCC). The contactor design reduces the size of the column and eliminated the column packing, which enables an overall capital cost reduction of 30% and a power consumption reduction of 25%. Process optimisation in PCC deployment at scale will validate performance. However the concept has demonstrated excellent potential for cost savings and can be applicable to many existing technologies and processes. 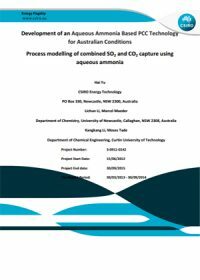 Based on the Precipice sandstone of the Surat Basin, this CSIRO study looks at some of the errors generated in the numerical simulation of CO2 migration and dissolution that are caused by the necessity of using large grid blocks in the simulation of field size projects. In the injection stage of a simulation, large grid blocks will cause an overestimation of the amount of CO2 that will dissolve in the formation brine. The study addresses some of the shortcomings in the scientific literature regarding the effects of coarse grids on the convective mixing process and proposes a scheme for correcting the observed error in the convection enhanced dissolution by using grid corrected fluid or reservoir properties. 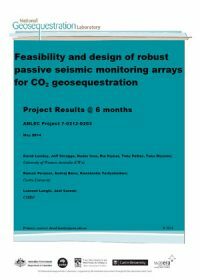 This early progress report explores the opportunity to consider passive seismic monitoring for the South West Hub in the context of location specific variables. Passive seismic monitoring is the science of recording and analysing natural or induced seismicity with surface or borehole sensor arrays, without the use of costly and disruptive man-made seismic energy sources. 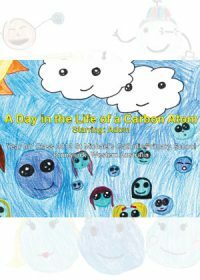 Scientists are seeking to use such signals to monitor an injected CO2 plume. 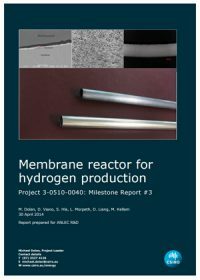 This project aims to develop a catalytic membrane reactor (CMR), which intensifies hydrogen production processes and could lead to near-complete hydrogen conversion, purification and pre-combustion CO2 capture in a single device. During this reporting period, a membrane module with a surface area of 500 cm2 was designed, constructed and tested. This represents a 250 fold increase in membrane surface area since the beginning of the project. Hydrogen flux has been consistently achieved at 40% of the US DOE flux target. With a minimal Pd consumption, this represents a competitive flux per capital cost ratio. 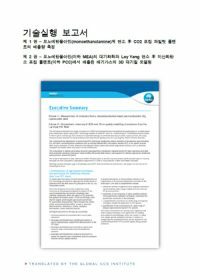 Ongoing developments are also reported in the embrittlement-resistant vanadium alloy and the surface preparation procedure. 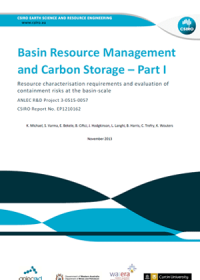 The complexity of geological storage includes how carbon dioxide interacts with other resources - this will impact the ‘licence to operate’ a carbon dioxide geological storage site. In addition, the sensitivity to a ‘new player’ in the underground geological space has led to discussions around sub surface access priorities and potential resource conflicts. This two-part CSIRO report seeks to clarify the possible interactions in a range of potential geological settings as well as align ‘best in class’ international work to the Australian context to propose relevant ‘resource interaction’ decision flow charts. 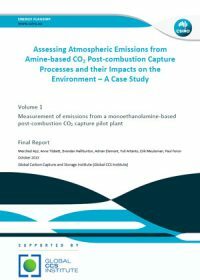 The report examines alternative geophysical methods to time-lapse seismic that might be deployed to monitor commercial volumes of stored CO2. It uses simple geological models for the South Perth and Gippsland basins to simulate the resolution of various techniques or combinations of techniques. Topics covered include lowering noise levels in data processing workflows, estimate noise in a time-lapse sense for shallow well receivers as well as ambient noise imaging for ocean bottom receivers. Whilst no alternative method or combination of methods appears to have the sensitivity to adequately replace a time-lapse seismic approach, the added information could greatly improve the resolution and sensitivity of time-lapse geophysical methods alone.